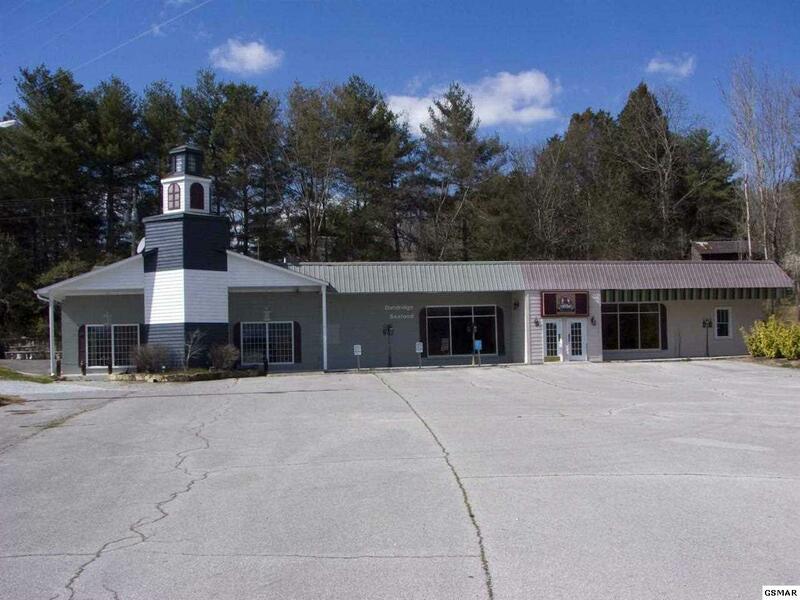 Spacious, Multi-Use, Commercial Building on 1.38 Acres in Downtown Dandridge! The property provides over 7100 square feet under roof, two front entrances and a large parking area. Access is available off of Patterson Road or directly off Hwy 25/70, known locally as E Main Street. There is plenty of room on the property to expand the building or parking lot. The building has housed many successful businesses over the last 54 years such as Ford Tractor Sales, Dandridge Seafood and, most recently, Life Care Ambulance Services. Possible uses are many: restaurant, boat or automotive repair / sales, daycare center, auction house, office space, strip mall, business complex... This could be a great opportunity to build your business in East Tennessee. The location is about one mile from Douglas Lake public access and three miles to Interstate 40 at exit 417.